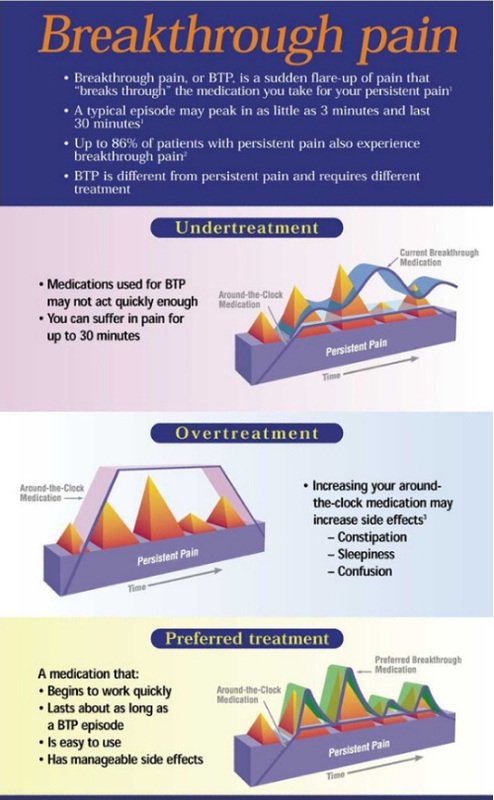 Breakthrough Pain or BTP is different from Chronic or Persistent pain in that it comes on suddenly and can last for several hours at a time. 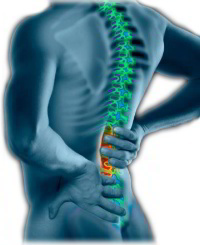 Breakthrough pain periodically surfaces above and beyond a patients normal chronic pain levels. Atlanta pain management doctors will also treat you break through pain needs as they are different then your long lasting pain. "Breakthrough pain" gets it's name because it breaks through the pain medication, it can be triggered by a number of things but usually it is caused by doing something that triggers the extra pain. It also may be a sign that the body is developing a tolerance to the current medication in which case your should consult an Atlanta pain management doctor. If left untreated, Breakthrough pain can harm a person's sense of well being, disrupt daily activities, and interfere with disease related treatment schedules. It can even make it more difficult to accurately treat persistent pain symptoms. Atlanta Pain Management Clinic in Georgia can help you manage your Breakthrough pain symptoms and get you back to feeling better. The pain management doctors are available to help you take control of your life and your body so you can live without the pain. BTP is often one of the common symptoms from cancer pain and if left untreated can be severely traumatizing.